Leupold RCX Trail Camera System – Leupold has stepped into the trail-camera market in a big way with their new RCX Trail Camera System. Without question, the Leupold name brings with it the perception of quality and customer satisfaction, and I am sure that Leupold’s line of RCX Trail Cameras will be highly regarded in the marketplace. Recently, I was able to put one of Leupold’s RCX-2 trail cameras to the test, whileI am searching for Western Whitetail deer, specifically Coues deer here in Arizona. Right off the bat, I was impressed by the 10 megapixel resolution, dual PIR, and 90 foot trigger range. But, only a test would tell the true tale. Although the RCX Trail Camera System is complex, I was able to master the controls in a matter of minutes in the backyard. The next day, I installed the camera overlooking a heavily-used trail in Coues deer country. Coues deer country is largely public land, and there are two important factors for the western hunter: 1) areas may be far from home, and far from the road, which means cameras may only be checked on a minimal basis, and 2) security is key; with many “bad apples” still present in our hunting community, you never know when you are going to lose a camera. The RCX System allows the use of up to a 32 GB SD/SDHC card. I used a 4 GB card, which held more than enough images over a one-month period. The RCX Trail Camera System uses 8 lithium AA batteries, which never fell below 75% over the same month. And, with the included (RCX-2 only) Lock-down security plate, I was able to secure the camera with a cable and lock. The picture quality of the RCX Trail Camera is better than any other camera that I have used to date. The megapixel quality allows the image to be viewed quite a bit larger than most trail-cameras on the market today. Additionally, the “XD image quality” is, as advertised; the clarity and color in the images is amazing. Below are two images of a curious Coues buck taken with the RCX Trail Camera. I am pretty sure this buck really like the camera too. I have never been a big fan of trail-cameras that require a separate controller/viewer to operate the camera, which the RCX Trail Camera does. That said, one of the best features of the RCX system is the ability to align the camera in real-time. I can’t tell you how many times I have mounted a camera either too high or too low, and was completely disappointed the first time I checked the pictures on the camera; either pictures of headless animals or the tips of antlers against the backdrop of the sky. Using the controller to see the alignment of the camera during set up provides a new level of confidence. When you walk away — you know the RCX-2 will catch every animal that steps in front of it. I have the controller and cord zip-tied to my backpack to remove the human error of forgetting it. The Leupold RCX Camera System is an excellent trail-camera, with many features that fits the western hunter well: security, memory capacity, and battery life. Additionally, the real-time set up and image quality make it a valuable resource as a scouting tool. I am hoping to get many more pictures from this camera for years to come. Darren Choate is an avid hunter, professional guide, conservationist, freelance outdoor writer and photographer; and, the editor of Western Whitetail. 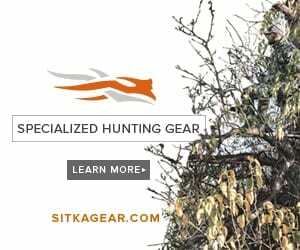 Each year I spend countless hours in the field hunting big game species in my home state of Arizona, and across the US. I find satisfaction from guiding hunters here in the West, but I especially enjoy hunting with my family and close friends. I have an undying passion for the preservation of our hunting heritage and ethical hunting. I enjoy sharing my passions with others through my writing. Dave, Let me ask a series of questions and see what we can figure out. What are you trying to get pictures of? How high off the ground is the camera? Did any of the sensitivity settings work better than the others? Let me know. I cannot for the life of me figure out how to get my RCX-2 to take pictures of anytime smaller than a car. I’ve tried every single possible combination of sensitivity settings. Any help would be greatly appreciated! TIA. Oops, I meant ‘anything’ smaller than a car.